available once again through the LCCA! and have access anywhere or anytime you have access to the internet! Web Manager), and Dennis De Vito (Past President) for their roles in this effort. 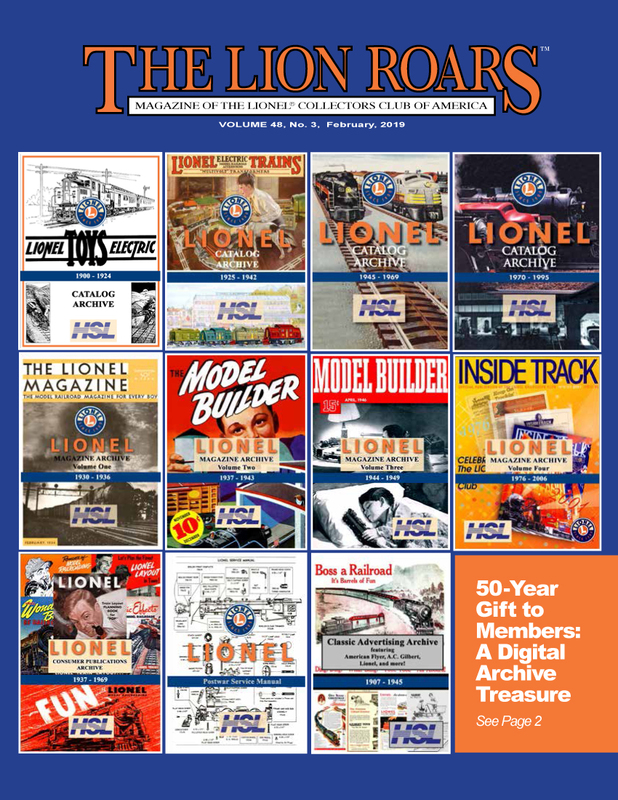 to be made available for current and future generations of Lionel enthusiasts! LCCA and become a member. 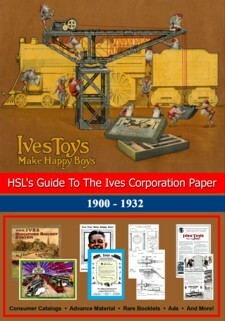 HSL's Guide To The Ives Corporation Paper 1900 - 1932! New for 2015 ... available NOW! 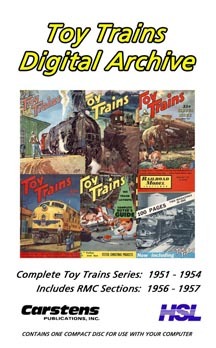 The complete set of the 1950s Toy Trains magazine! 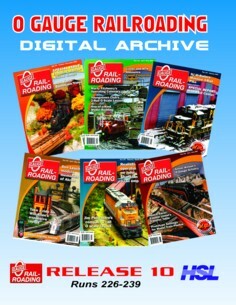 Forty years of O Scale Railroading and O Gauge Railroading on ten CD-ROMs/DVDs! Volumes 1 - 10 are now available! 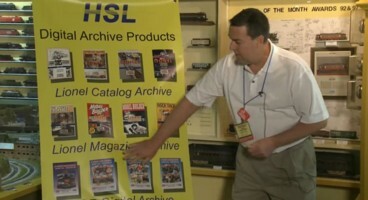 Archive products presented at the National Toy Train Museum Open House. 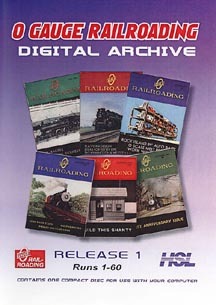 Discontinued HSL Digital Archive products.